This Noise Is Ours: Cruentator - Ain't War Hell? 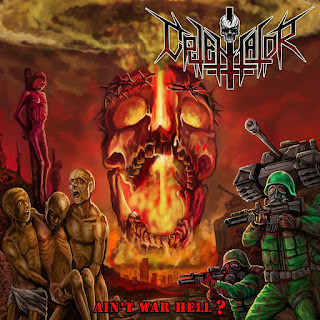 The sudden urge to check out new thrash metal has been calling me all day, so what better way to scratch that itch than with Italian quintet Cruentator and their debut album "Ain't War Hell?". It was released in January via Xtreem Music and is the band's debut record. Cruentator formed out of brutal death metal band Bowel Stew in 2015 and their influences include the likes of Demolition Hammer, Kreator & Sodom to name a few. It sounds like this is going to be a lot of fun! Cruentator’s thrash is definitely as furious as their bio suggests. Opening song Merciless Extermination is fast, with a volume to match, though the guitars are slightly buried underneath the drums and the vocals initially. They do have chops though and an eye for a solid thrash solo. They absolutely pummel on Tyrants Of The Wasteland. There’s no bowing down to outside influences, as their Italian musical flair shines through via a barrage of intensity and musicality. Probably the most aptly titled song on “Ain’t War Hell? is it’s third track Barbaric Violence. It describes the band’s sound perfectly and while it will never be as heavy or as bestial as black-thrash, it isn’t trying to be. Cruentator is happy to lay waste with something more teutonic and at times, melodic. They also manage to pump a lot of music into their songs, in spite of them only averaging about four-and-a-half minutes a piece (roughly, as my maths is crap). Evil Is Prowling Around drags you towards the album’s midway point in ridiculous fashion. It’s latter half isn’t any more laid back as The Nightstalker flings itself at you with guitar work that sounds like a Howitzer gun with Mille Petrozza at the helm. It’s ace is what I’m trying to say! 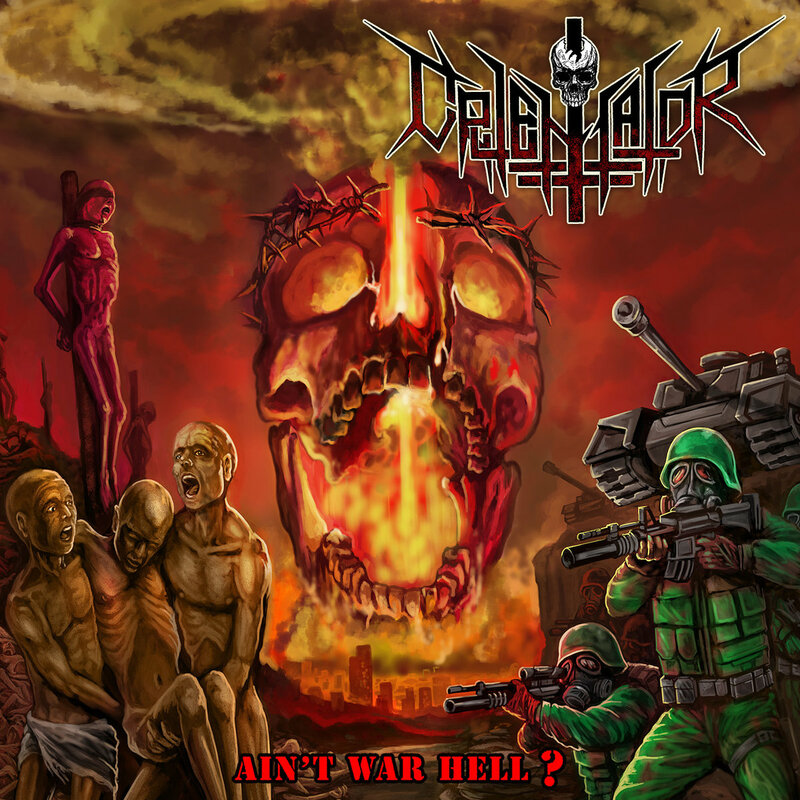 Keeping up the war theme, Marching Into A Minefield takes their teutonic thrash influences even further with a song that’s inspired by war itself. The riff that opens penultimate track The Shining Hate is simple yet gloriously catchy and it sums up the pleasure you get from listening to Cruentator. They’ve clearly been devoted disciples to thrash metal over the years and while they may not be reinventing the wheel with their debut album, that doesn’t matter one jot. It’s a proper thrash metal album done extremely well, especially considering it’s their first. Closing number Cluster Terror is a great way to end the album, as it’s filled with the urgency to match it’s shorter playing time. It’s with that punchiness that Cruentator finish etching their way into your brain. As I mentioned earlier in this paragraph, this is a really well put together album from a band that are enjoying their music. Thrash is fun and Cruentator don’t need to be anything else.